Today the Urbanworld Film Festival will officially begin bringing over 69 official selections and 7 spotlight selections that represent inclusion beyond ethnicity. The annual showcase of diverse culture and sensibility will be experienced in Manhattan September 19-23, 2018 at AMC Empire 25 on 234 West 42nd Street. Check out a few of the films I am excited to review at this year’s festival. Opening the festival tonight will be Universal Pictures’ Night School at 7:30 P.M. at New York’s SVA Theater on 333 West 23rd Street. Kevin Hart and Tiffany Haddish star in the new comedy from director Malcolm D. Lee (Girls Trip) and producer Will Packer that follows a group of misfits who are forced to attend adult classes in the longshot chance they’ll pass the GED exam. Co-stars Rob Riggle, Taran Killam, and Romany Malco join Hart and Haddish on-screen for the film that Hart produces for his Hartbeat Productions and Packer via his Will Packer Productions. Hart and Haddish are confirmed to attend the festival, and a conversation with Lee will immediately follow the screening. From Academy Award®-winning director Steve McQueen and co-writer and bestselling author Gillian Flynn comes a blistering, modern-day thriller set against the backdrop of crime, passion, and corruption. 20th Century Fox’s Windows is the story of four women (played by Viola Davis, Michelle Rodriguez, Elizabeth Debicki and Cynthia Erivo) with nothing in common except a debt left behind by their dead husbands’ criminal activities. It will screen at the festival on Friday, September 21, 2018. Set in contemporary Chicago amid a time of turmoil, tensions build when the women take their fate into their own hands and conspire to forge a future on their own terms. BET Networks’ original film “Running Out of Time” will be showcased on Saturday, September 22, 2018. In the film directed by Christopher B. Stokes, newly widowed Brenda Harper and her family are taken hostage over something from her late husband’s past. The film’s star, Tasha Smith, will appear at the festival for a Q&A after the screening along with cast and filmmakers. Smallfoot turns the myth upside down when a bright young Yeti finds something he thought didn’t exist—a human. In this all-new animated story from Warner Bros. about friendship, courage and the joy of discovery, news of this‘smallfoot’ throws the simple Yeti community into an uproar over what else might be out there in the big world beyond their snowy village. It will also screen at the festival on Saturday, September 22, 2018. Amandla Stenberg leads 20th Century Fox’s The Hate U Give as Starr Carter, a girl constantly switching between two worlds: the poor, mostly black neighborhood where she lives and the rich, mostly white, prep school she attends. The uneasy balance between these worlds is shattered when Starr witnesses the fatal shooting of her childhood best friend Khalil (played by Algee Smith), at the hands of a police officer. Now, facing pressures from all sides of the community, Starr must find her voice and stand up for what’s right. George Tillman, Jr. directs the film based on the critically-acclaimed New York Times bestselling book by Angie Thomas. After the film closes the 2018 Urbanworld Film Festival on Saturday, September 22, 2018, there will be a conversation with Tillman, Stenberg, and Smith moderated by ARRAY founder and Academy Award® nominee Ava DuVernay. Make sure you stay tuned on my social @payorwait for live updates and more! 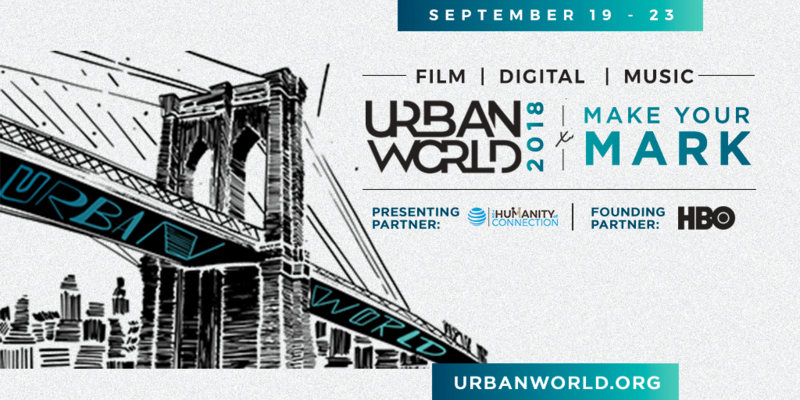 Urbanworld Film Festival was launched in August 1997 by founder Stacy Spikes, co-founder of MoviePass and a former executive at Miramax and October Films. With estimated attendance reaching over 15,000, the five-day festival anchored in film showcases narrative features, documentaries, short films, spotlight screenings and live staged screenplay readings; the Urbanworld Digital track focuses on digital panels and workshops, and the Urbanworld Music franchise highlights emerging talent in live performances during festival events. For over two decades, Hollywood studios and indie film distributors, as well as established and emerging filmmakers, have consistently chosen Urbanworld to premiere box office and award-winning hits. The Urbanworld Film Festival is an initiative of the Urbanworld Foundation Inc. Gabrielle Glore serves as Festival Director & Head of Programming. The organization’s website is www.urbanworld.org. I love pay or wait. Sharonda gives accurate and just reviews. Keep up the great work!!! !